It’s that time of year again - Valentine’s Day. Most of you are probably looking for Valentine’s cards and some early birds might even have bought theirs weeks in advance. I might say I’ve already been eased into the whole Valentine’s Day conundrum (which would be to put it mildly) seeing as most stores have already displayed their paraphernalia of love-inspired tidbits. Just the other day I was in Paperchase looking for a notebook and some 5 steps away from the daily planners I was attacked by masses of heart shaped glittery candles and pink cards and notebooks. I debated whether to get the set of candles – at least for the glitter that would’ve instantly turned my dorm room into a Princess bedroom and my tiny bed into a canopy one – and keep it as my dirty little secret, but then decided against it if only because, well, we’re not allowed to have candles in our rooms. Along the years I’ve grown to develop a belief that there are three types of people in the world: the ones that love Valentine’s Day, the ones that loathe it, and the ones that complain about all the loving and loathing taking place on Facebook timelines across the world on February 14th. Oh, and then there’s me. Growing up in Romania we never really celebrated Valentine’s Day and it definitely wasn’t a big deal. Not to mention that I’m far from being an easy person to impress and definitely not one that appreciates spoony, mushy displays of affection. I’m more of an “If I love you, I do it every day of the year” person and – stop right there – that’s had nothing to do with my relationship status on Valentine’s Day over the years. So while some of you might be looking out for a date on V-Day I want to ask you the classical feminist question that arises whenever some of my girlfriends find themselves in the dilemma of not having a boyfriend and feeling sad because of that. Do we really need someone to complete us? Obviously, it’s nice to have someone you can talk to every day or meet up with, that pays special attention to you and makes you feel appreciated but is it necessary? Should one feel sad if they don’t have that on Valentine’s Day? And I’ve always been an advocate for self-completion. I think boyfriends are a wonderful thing but I think single life can be just as well. It all depends on what you make of it. You never really believe a thing until it happens to you though. It is actually true that love comes when you least expect it. And that’s what happened to me last weekend. I was out around town and I decided to go visit someone that always makes me feel loved and special. Our relationship is a love-hate one because when we’re together I feel like the most beautiful person in the world but when I'm left alone again I realize that I was just being manipulated and led on to believe that. However, I always go back trying to achieve the impossible. This time though, the story was very different. It’s always been obvious that secrets were being kept from me but in the end I think I found out what I was doing wrong and I think our relationship is even stronger than before – mine and Victoria’s Secret I mean, if you were wondering. I should just stop believing that bikinis would look the same on me as they look on Candice Swanepoel. What is even better is that I didn’t end up with one true love, but three. And they’re each so different and yet so perfect – the Sensual Blush body wash, body lotion and fragrance mist. 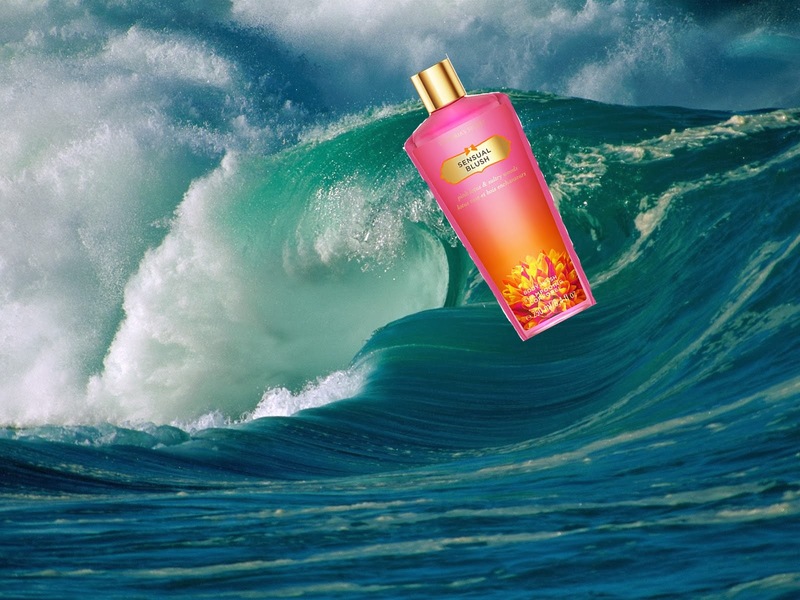 I just imagine myself going on three very different romantic destinations –The body wash would obviously take me to Hawaii on a surfing getaway this Valentine’s day while the moisturizer would prefer the French Alps so my skin will stay soft even in cold weather and skiing gear. And the fragrance mist... well it just couldn’t resist the classic Paris V-Day city break just because he’s the most romantic of the three. So guys, what are your Valentine’s Day plans? Any romantic escapades?